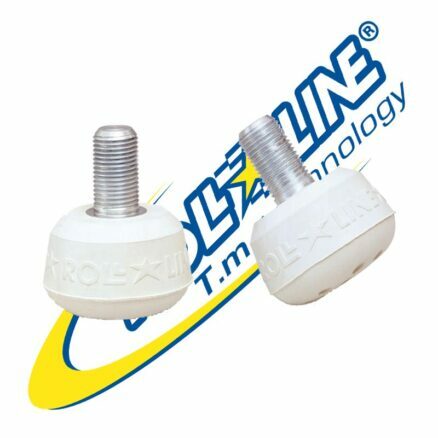 Pivot Pin in Steel (Standard) (each) – Skates U.S.
Roll-Line Pivot Pin in Steel are engineered to withstand the use and abuse of high level competitive Skating. Roll-Line Pivot Pin in Steel have two (2) Flats stamped into the neck that fits a 6mm Wrench for Adjusting the Pivot Pin properly. 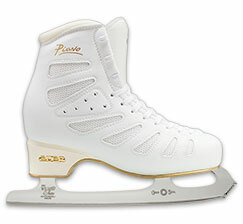 A properly adjusted Pivot Pin is critical to the performance of the Skate. 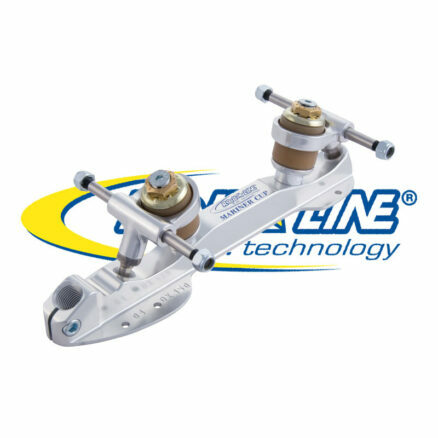 The “Adjustable” Pivot Pin allows the Truck to operate at its optimum angles to provide the best action with the variance of the tensions on the Cushions. 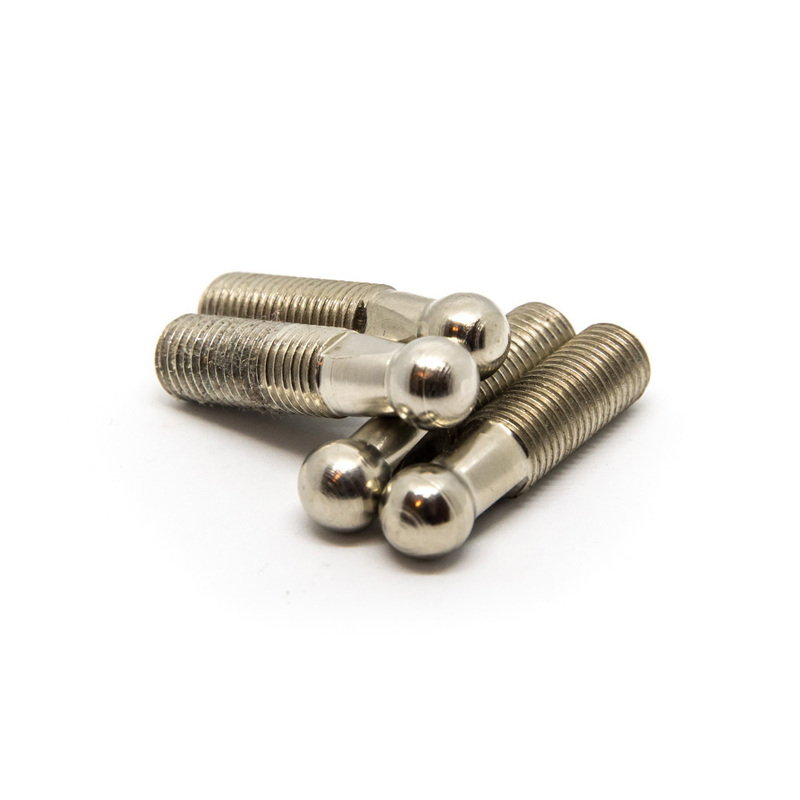 The Pivot Pin and Pivot Pin Jam Nuts are meant to be kept absolutely and completely tight. The Pivot Pins are installed into the Trucks with BLUE Removable Lock-Tight. You can get them loose, with a lot of effort, but it is sometimes necessary and very important, to have the proper adjustment. The Pivot Pin should be fully seated into the bottom of the Pivot Pin Cup. There should be NO Side to Side (when twisting the Truck with your hands) or Up and Down movement of the Pivot Pin (when pushing straight down on the Truck over top of the Pivot Pin shank) in the Pivot Pin Cup. Be sure to NOT run the Pivot Pin Out too far or lengthen it to where the Pivot Pin is pushing on the Pivot Pin Cup and excerting pressure on the Suspensions (Cushions) and therefore the King Pin, and actually changing the Angle of Action. This is not a good thing. The adjustment should be solid, but do not over-do-it. Once the Pivot Pin is in the correct position, hold that position with the 7mm wrench. Use a 13mm Wrench and tighten the Pivot Pin Jam Nuts against the shoulder on the Truck. This needs to be as tight as is physically possible. 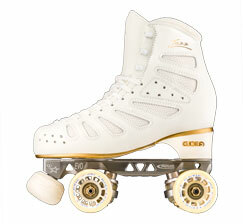 Lay the Skate on its side and actually lean on it and put your body weight into the tightening. Remember to hold the Pivot Pin in the correct position with the 6mm wrench, as it will tend to rotate with the tightening of the Pivot Pin Jam Nut. The Pivot Pin is a hardened Steel and therefore much stronger than the Aluminum Truck internal threads that holds the Pivot Pin. If the Pivot Pin is allowed to be loose (with the Pivot Pin Jam Nut not tightened), eventually the Pivot Pin will wallar out (or make open) the threads of the Aluminum Truck. At this point, no matter how tight you get the Pivot Pin Jam Nut, it will NOT stay tight and will loosen up, because of the openess of the threads in the Aluminum Truck. The way to correct this issue is to replace the Truck with Axle assembly and make sure the Pivot Pins are adjusted properly and the Pivot Pin Jam Nuts are kept VERY tight. 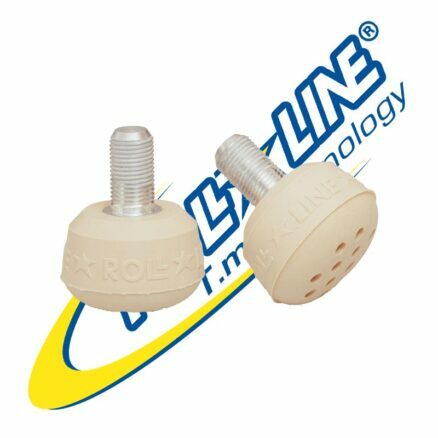 Roll-Line recommends in their manual, that the Pivot Pins be checked once a week. I am sure there are Skaters that have never checked their Pivot Pin adjustments, much less are, checking them once a week. Movement of the Pivot Pin in the Pivot Pin Cup will wear out or destroy the high quality Delrin, Pivot Pin Cup. If these get torn up, due to improperly adjusted Pivot Pins, it is recommended that the Pivot Pin Cups be changed. 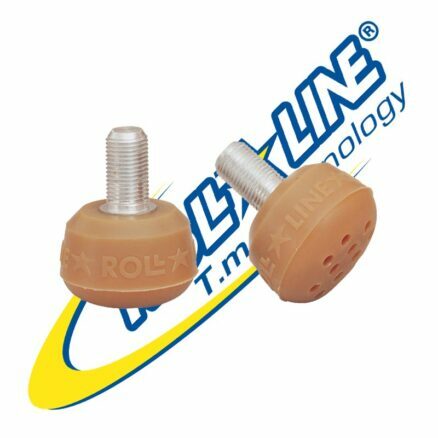 The Pivot Pin and it’s proper adjustment is VERY Important to the performance of your Roll-Line Skate. So, keep them adjusted or have your Skates maintained by a qualified Skate Technician. Skates US or our Dealers are always available to help ensure the maximum performance of your Skates, and your Skating pleasure.